This is great. I don’t know if you tried, but I took the VIC client directly to the ESXi host and attempted to deploy ovf/ova and inserted the https url indicated above. I got an error message but assumed it was my ova, because I also got an error message with ovftool 2.1 (win32) and the same ova/ovf. I am looking for command-line for exporting a VM on ESXI. I do not have vcenter server installed. I am using this method, but speed is too low. 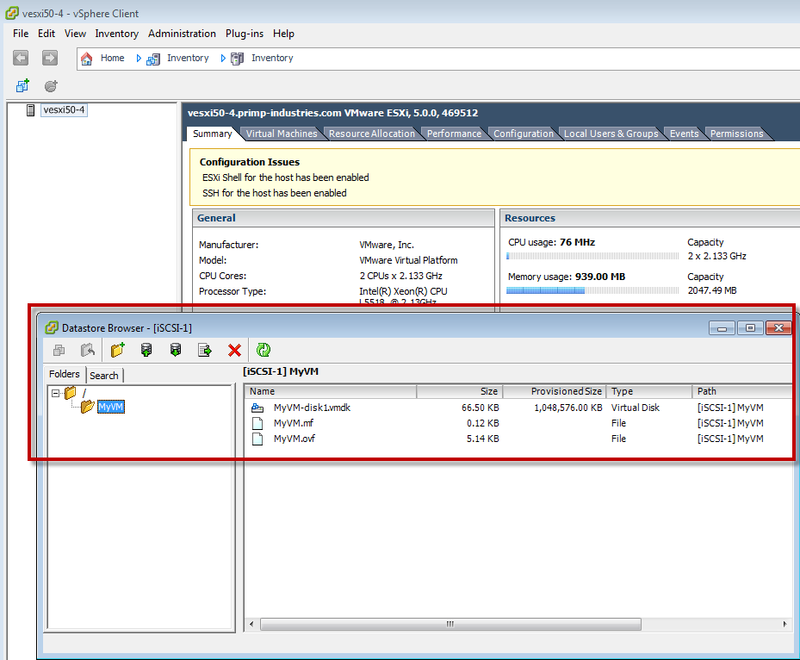 I am connected to ESX via remote vsphere-client. I guess, using this way, first .ova file is coming to my client and then getting deployed back into esx. Speed is equivalent to the method when I deploy the ova from my local system. Could it be not possible to deploy the ova file there itself. I was not able to do this…I was prompted for a username and password after entering the URL. The root user and password that I use for my ESX host was not accepted though. Disable lockdown mode on your ESXi host. just to make sure you have a valid identifier for the ovftool. When I try to use an OVA in this method, I get “Error: Failed to open OVF descriptor”. If I use the OVA in the viclient it works fine. 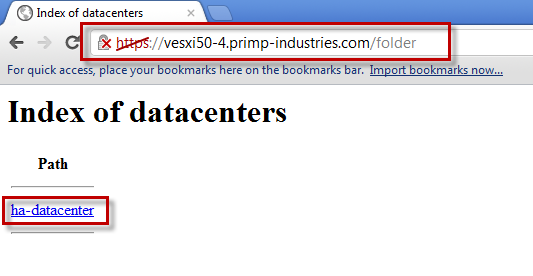 If I use the https address in the vSphere Web Client, I get the descriptor error. If I use a local browse file path in the web client, it works fine. Am I missing something? I’d like to use the ovftool since it allows me to specify the new seSparse disk format. same proble, did’u find solutions? I tried “.” for OVF name, tried the full text, tried “VM%20Network” as the target, as well as ” ” in there – none of them worked. I tried without the –net, which also completed with errors, yet did not create the target object VM. I have also encountered “Error: SHA1 digest of file . * does not match manifest”. A workaround is to enable –skipManifestCheck switch. I just get stars (******************************************) filling the terminal window. Anyone seen this? I’m finding that the login window keeps popping up as if the credentials are not good, even though I am able to login and browse the datastore via a browser. Lockdown is disabled, obv. Any idea? Can you do this on a free ESXi Host? I keep trying this from putty and it says the OVFtool is not found although I installed the msi for 64bit based machines. This is for importing. 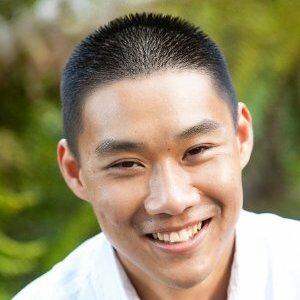 Can you give the syntax for exporting to a local datastore? This article is really awesome. I need help on similar stuff.I am trying a little different usage of OVF toll.I successfully deployed PSC thon ESX e using ovf build deploy on a linux VM. Now I am trying to run UPGRADE that. If you can provide some input that will be of great help. Has anybody tried accessing VM inside Esxi5.5 host. 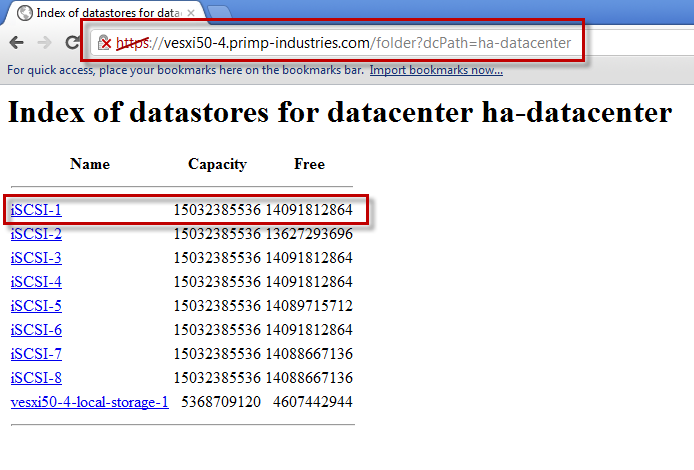 I am always getting Error while probing OVA inside datastore. Thank you for that answer it fixes same problem here with vSphere 6.0. This is great! I’ve spend the best part of the day looking for this information. Thanks so much for sharing this! I am getting error o vSphere client after deploy the OVF file from ESXi datastore. The remote server returned an error 503 server unavailable vmware . For the record, just in case you miss it, my ESXi host has no password whatsoever, in case that is not explicit from the string above so the question of ‘special characters’ in the password shouldn’t arise. If a url is provided does the traffic for the ova upload remain between the esxi host and the file server? In this case, what’s the data path? For example I have source and destination esxi:datastore far away from my ovftools workstation, will the data travel from source esxi to ovftools and then destination esxi?